Tonight was the opening at the Blue Skies Gallery in Hampton, VA for the art show by the Excel Art students from the Hampton school system. 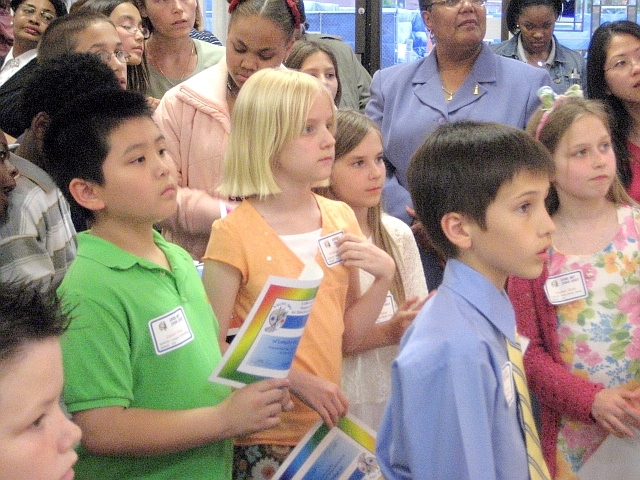 My daughter Shannon participates in this wonderful program offered here in Hampton. Once a week she travels by bus to spend the day with the Excel Art teach, Mrs Davis and the other Excel Art students. 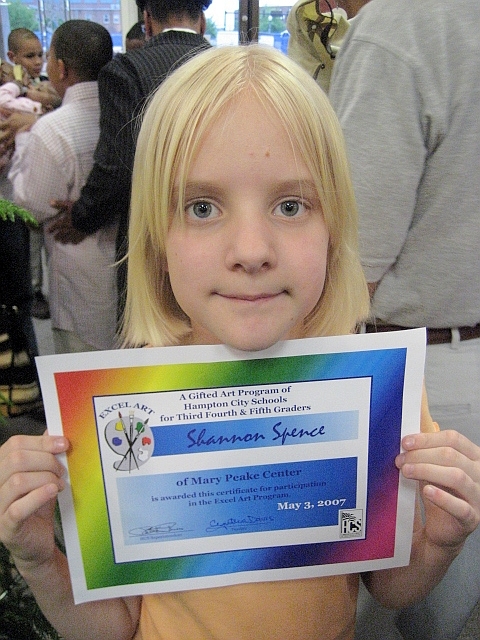 She was selected by her elementary art teacher to apply for this program and this is her first year as a participant. This art show was at a wonderful local gallery was to celebrate all their hard work over this past year. 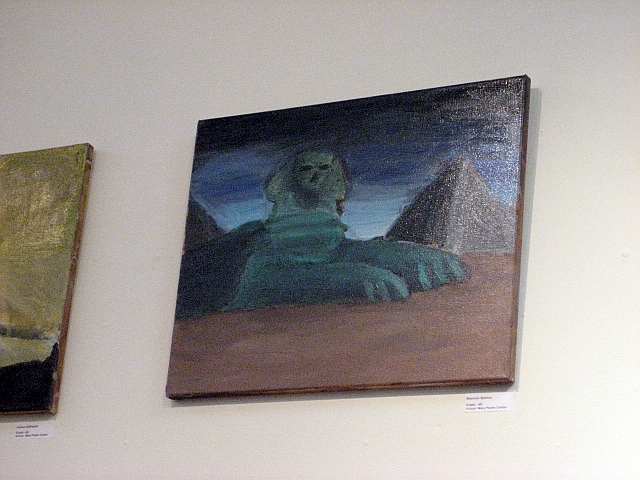 Shannon has one piece featured in this show and it was an oil painting on canvas that she did of a sphinx. She is really entranced by all things egyptian so this was her choice for this study. I thought her effort was just great! Here she is in the crowd waiting to accept her certificate. She is the platinum blonde in the crowd. She was very proud of her certificate! OMG! Shannon’s paiting is so wonderful! Her sense of color and shading is well beyond her years! She is one talented cutie pie! Now, get a frame for her certificate 🙂 Congrats, Shannon, for a job WELL DONE! WOWWW!!! What talent!! Really really fantastic!! And how fab is her hair!!! 🙂 Love it!! You must be soo proud! !